Take some shaving cream to a bowl and to it add equal amount of white glue. 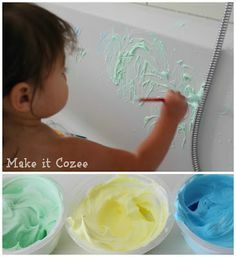 Then add a color of your choice and mix it up Then add a color of your choice and mix it up Spread the colored shaving cream to the paper carefully... Homemade bath paint will transform every bath for your kids from now on! Learn how to make homemade bath paint recipes. I have 5 amazing DIY bath paint recipes for homemade bath paint without cornstarch, homemade shaving cream bath paint, and many more! 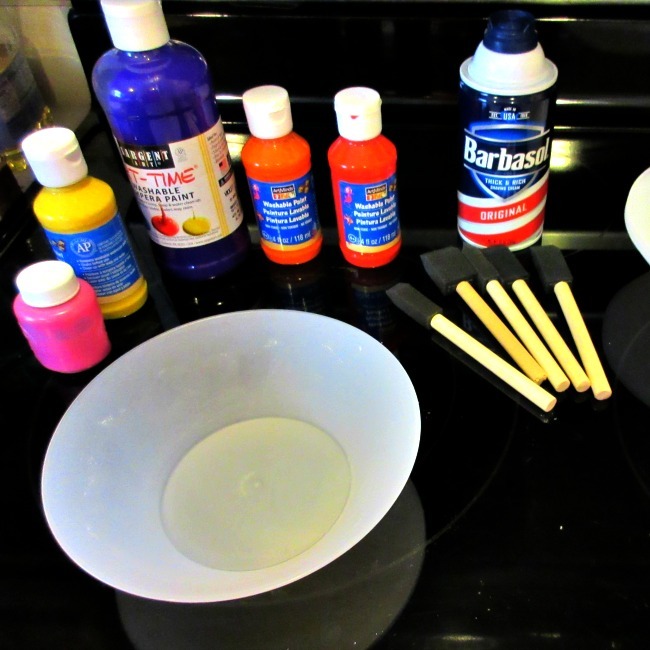 Making foam paint is as easy as it gets. You’ve got your shaving cream, your craft/school glue and your food coloring – that’s it! You’ve got your shaving cream, your craft/school glue and your food coloring – …... 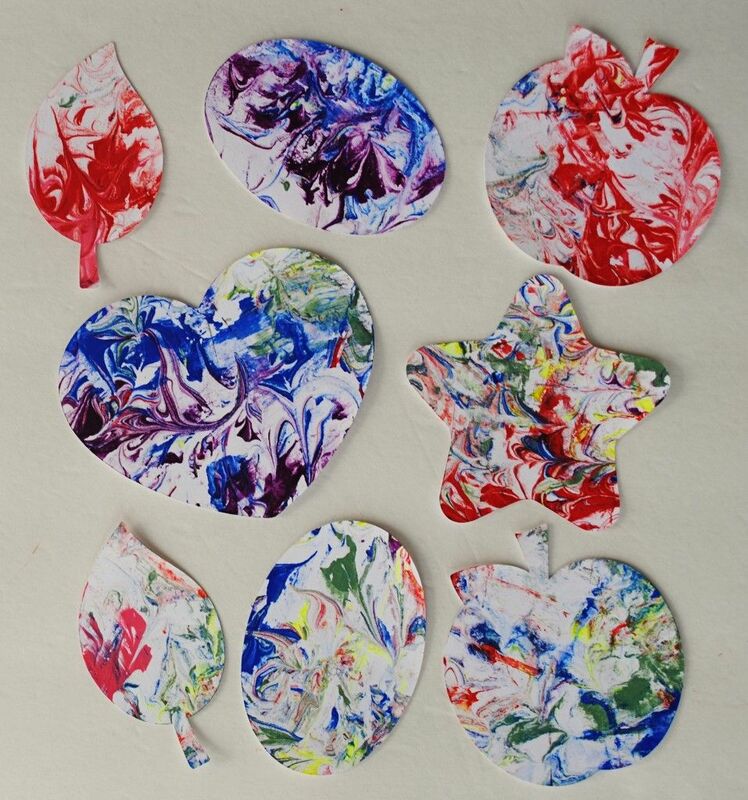 Mix shaving cream and a tablespoon or so of Kool-Aid to make a tinted, scented finger paint material for small children. A cookie sheet makes a good table on which to mix paint colors and serves as a play surface for the kids to swirl the shaving cream. 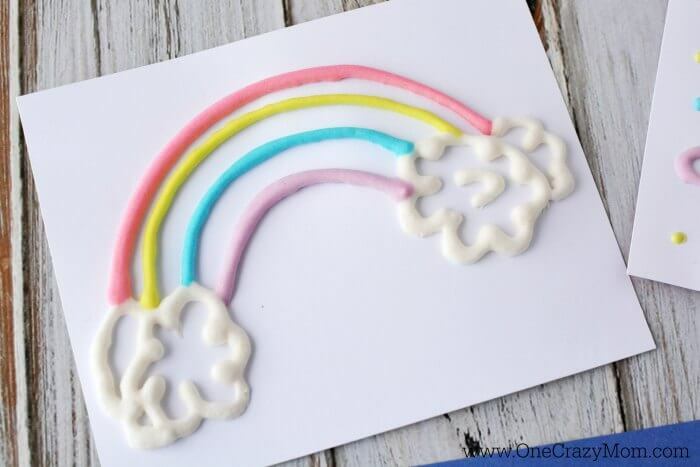 You can also add food coloring and white school glue to shaving cream to make puffy paint for a unique craft project. For easy cleanup afterwards, jump to number 1 … how to make your own ice cream rolls Mix shaving cream and a tablespoon or so of Kool-Aid to make a tinted, scented finger paint material for small children. A cookie sheet makes a good table on which to mix paint colors and serves as a play surface for the kids to swirl the shaving cream. Add White Glue Make the paint sticky by adding some white glue to it. Take the glue quantity lesser than the shaving cream, although there is no specifically recommended scale for the glue. The reason shaving foam forms such a pleasurable paint is because of the way it forms coming out of the can. When dispensed, the shaving foam depressurises a steady supply of liquid butane or propane into a gas. This gas is passed through soap and makes lots of tiny bubbles in it, which give the appearance of a soft lather. Over time these bubbles pop and the lather ‘melts’ away. I don’t know about you guys but here in Arizona the temperatures are just disgusting! 100+ degrees everyday! I thought we’d make our favorite treat with shaving cream art.